Italian Greyhounds have short-haired soft, satin like coats and shed imperceptibly so they do not require as much grooming and maintenance as some long-coated breeds. Check your dog every day to make sure you pick up any potential issues early. Run your hands over every part of his/her body and make sure you take a look in his/her ears in case there’s anything nasty lurking in there like a tick, and check their paw pads too for things like grass seeds. You should brush your Italian Greyhound’s teeth every day using a canine toothbrush or a soft-bristle children’s toothbrush with a canine toothpaste. Alternatively there are a number of supplemental additives, Oral Care Gels and dental chews which can be given to help prevent the build up of dental plaque and gum disease. Dental problems are prevalent in Italian Greyhounds and a daily dental routine goes a long way to helping prevent these problems in the long term. You should keep your Italian Greyhound’s nails trim and not allow them to grow overly long, nail clippers and electric/rechargeable files should be used. Long nails can cause discomfort or even pain, are prone to splitting, infection and also easier to ‘catch’ on things which can lead to a claw being ripped out of your dog’s paw. Each dog is different and how often you will need to trim your dog’s nails depends on your dog. Most Italian Greyhounds will need their nails trimmed once a week. Italian Greyhounds have short coats and are relatively easy to keep clean just by wiping them over with a warm damp cloth or dog wipe. 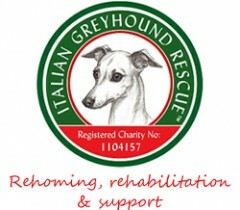 If you need to wash your Italian Greyhound for any reason (e.g. they’ve rolled in fox poop) bear in mind that they don’t really like being submerged in water and may resist! The easiest way to wash an Italian Greyhound is in a bath tub with a hand shower, but be careful that your dog does not slip in the bath tub – an anti-slip bath mat can be helpful. Test the temperature of the water first (warm water that you might bathe a human baby with) and use a very gentle dog shampoo. Italian Greyhounds generally have sensitive skins. Human shampoos will be too harsh although some Italian Greyhound owners use Baby Shampoo which is very mild.